It used to turn. It used to spit water. 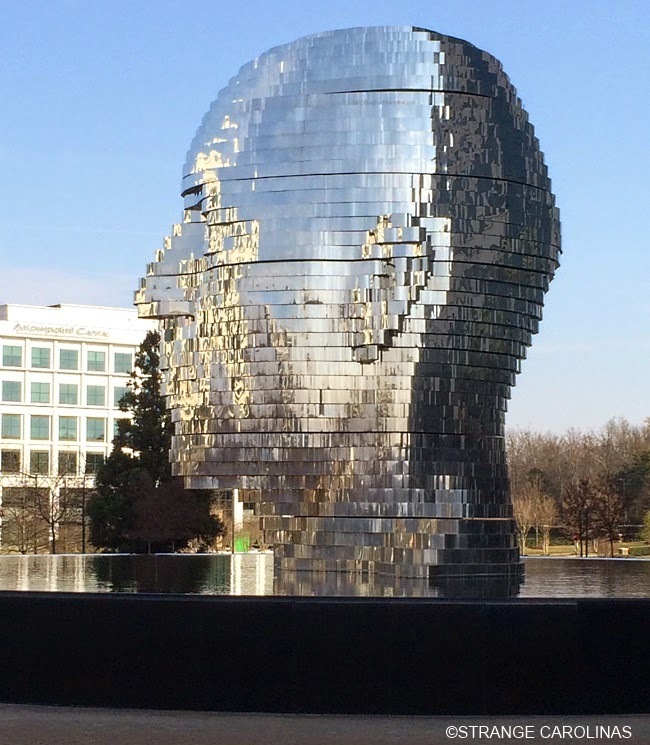 While it's definitely gotten lazier over the years, the massive Metalmorphosis, nestled in an office park and peering out over an infinity pool, is still worth a visit because hey, it's a giant head! "David Černý says of Metalmorphosis, his first permanent public installation in the United States, 'I was thinking about doing something as a centerpiece. I knew I wanted to employ water from the beginning.' 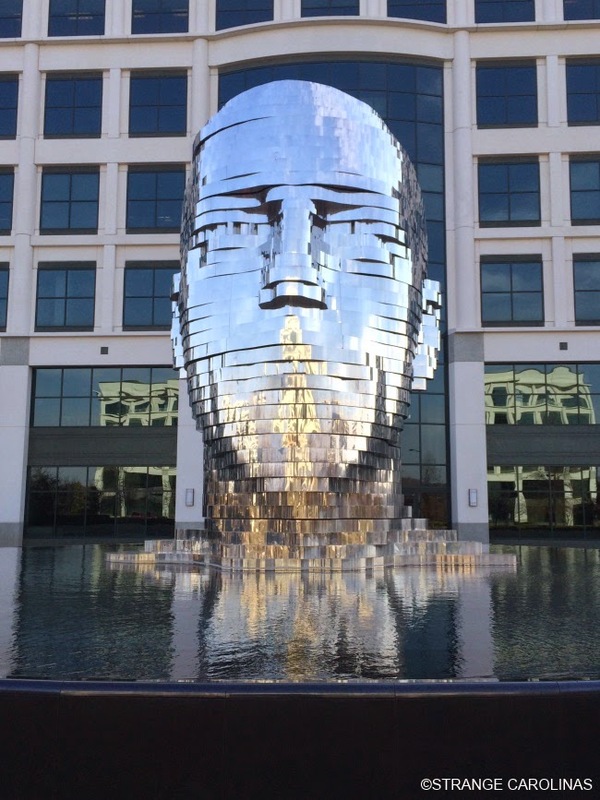 The sculpture, which stands 25 feet tall and was fabricated from approximately 14 tons of stainless steel, is in the shape of a human head, with water flowing from its mouth into a large fountain at its base." It turns and spits water once again! Private Property: Technically, yes. It's in front of an office building in an office park.